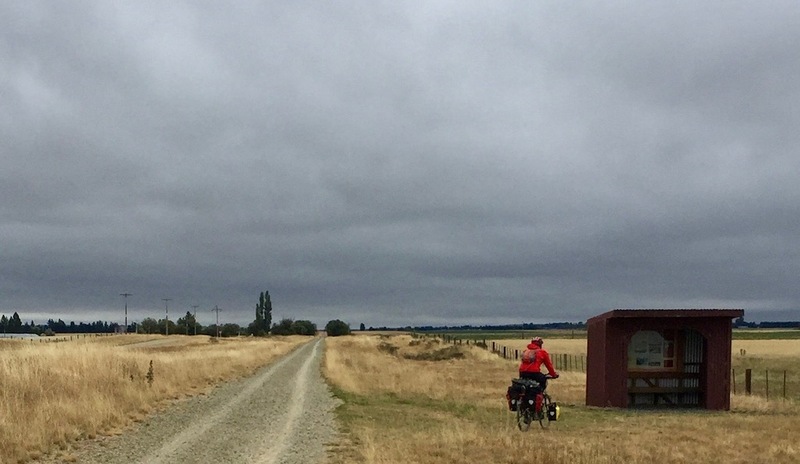 Otago Central Rail Trail day 2. Cool day, easy riding. I slept in knowing we had a short easy ride that day. Jelle got up early as did the Danish couple with their children. Hard to believe they could get their kids fed, their stuff packed and make it out of camp before me, but they did. Jelle didn't wait either as he needed to ride to warm up. So I lallygagged around and eventually got going. I soon met Daniel coming the other direction. 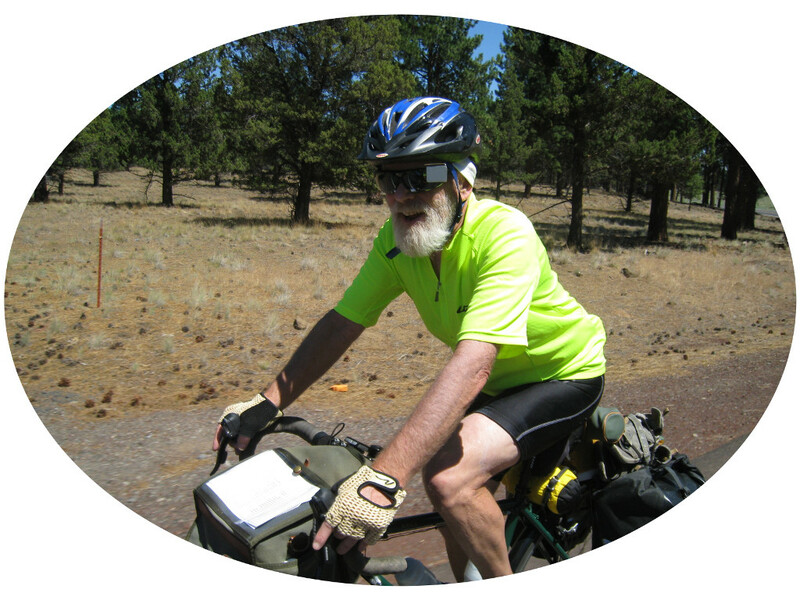 We had first met him on the Alps2Ocean way back near Omarama. 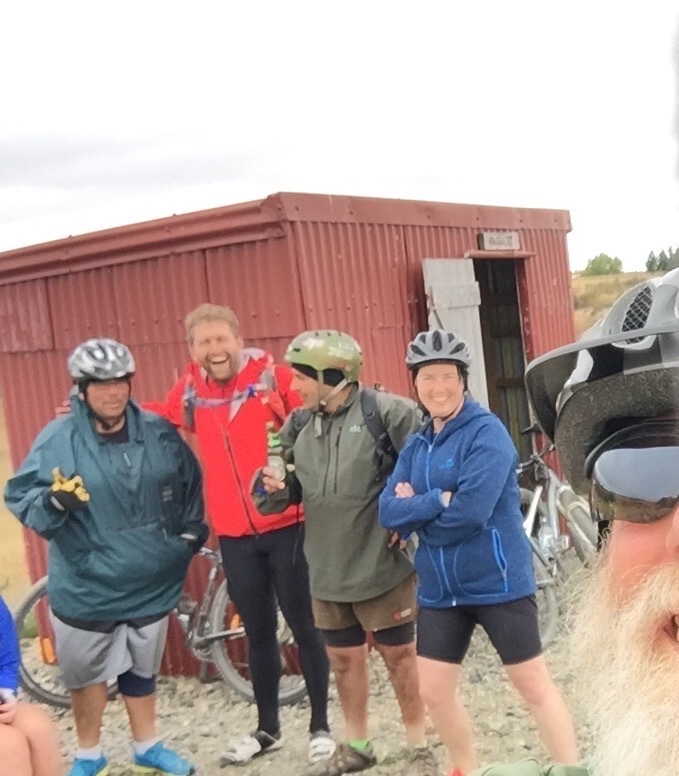 He had gone over Lindis Pass to Wanaka and had been riding this trail from the start in Clyde. I gave him my URL and said good bye. He only had a few days left before returning to the states. Next up I met a couple from the Bay Area who were just leaving camp. I would have liked to talk more but we soon ran in to Jelle and we stopped at Waipiata for second breakfast. Not long after that was Ranfurly, the biggest town we would see until Alexandra. We spent a good amount of time here at the cafe and the info station. Lots of other cyclists around, none of them self supported. People come from all over, contract with a tour company, and book accommodations ahead of time. This trail is probably the most popular cycling destination in NZ. Our destination for the night was the historic Wedderburn Tavern. It was cold and threatening rain when we got there. We had a warm reception and were soon settled in and having a beer. The owners work really hard and do a good job. The tavern was packed for dinner, although we were the only overnight guest. I hope they can stay in business, as there is not much else out here. The Danish family that camped with us. Jelle at one of the Ganger Sheds, which were now information booths. Not much to see on the trail. We met a bunch (not all shown) of cyclists from Invarcargill who were having a great time and gave us beer. Who could complain? 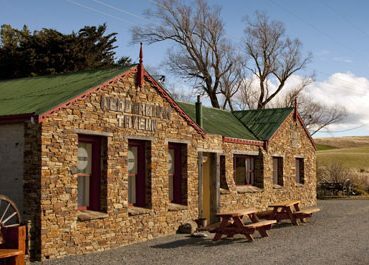 The Wedderburn Tavern. I took this picture from their website.